With the blessings of Gurudev Paramahamsa Omkarananda Saraswati, a beautiful Yoga Centre, the prestigious Patanjala Yoga Kendra, has been established in Omkarananda Ganga Sadan. 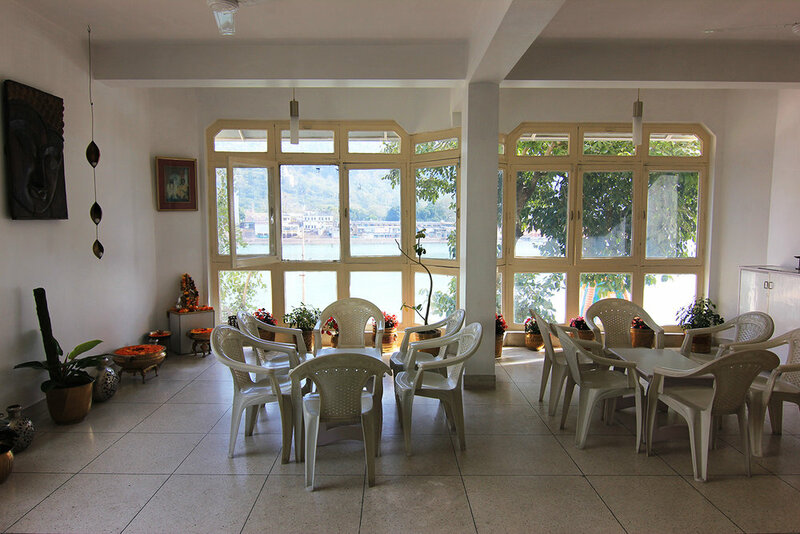 Omkarananda Ganga Sadan is a beautiful Guest House of Omkarananda Ashram Himalayas at Rishikesh, Muni-ki-Reti, right at the bank of the holy river Ganga. 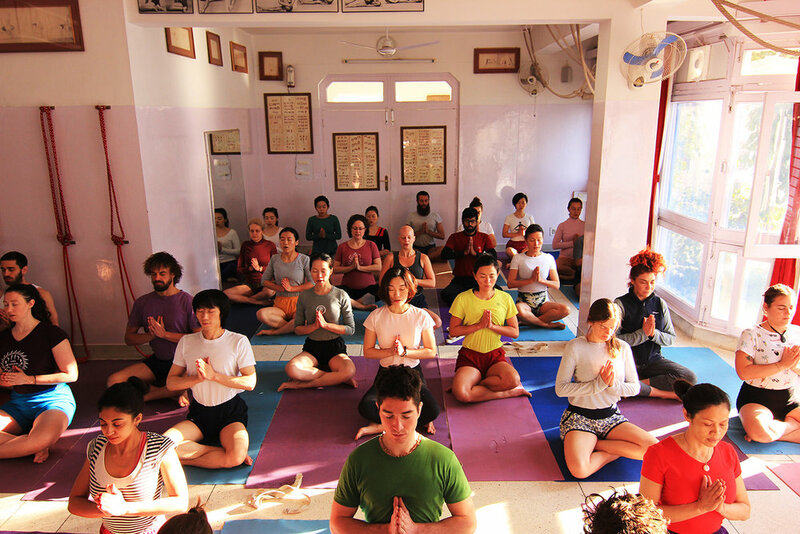 The Patanjala Yoga Kendra was established in 1993 on the banks of the Holy River Ganges in Rishikesh, the world capital of Yoga. The method of Yoga that is taught is Iyengar Yoga, as developed and taught by Shri Guruji, B.K.S. Iyengar, the world-famous Yoga Teacher. 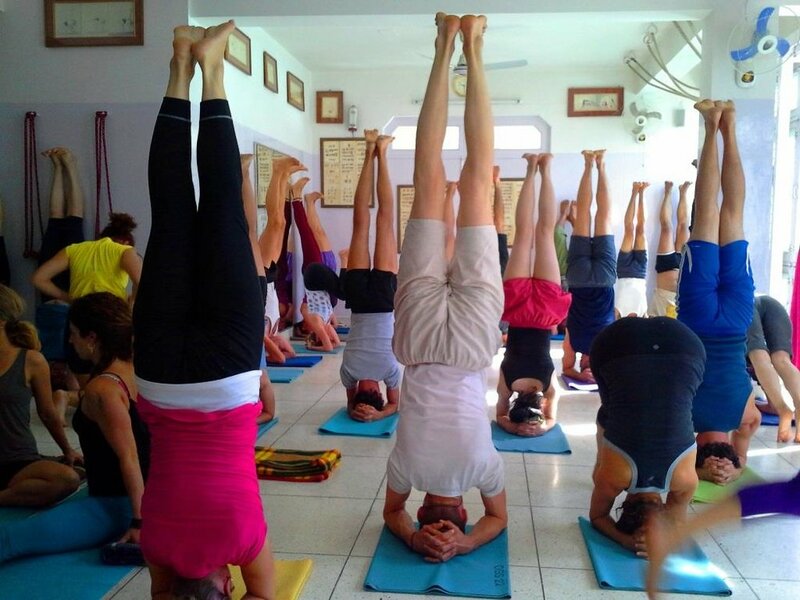 Guruji's method is firmly based in the ancient Indian tradition of Yoga as defined in the Yoga Sutras of Patanjali. Usha Devi is the resident Yoga Instructor. The Yoga Studio is beautiful, fully-appointed with all of the necessary props and other equipment. These props play a central role in the method of Iyengar Yoga. 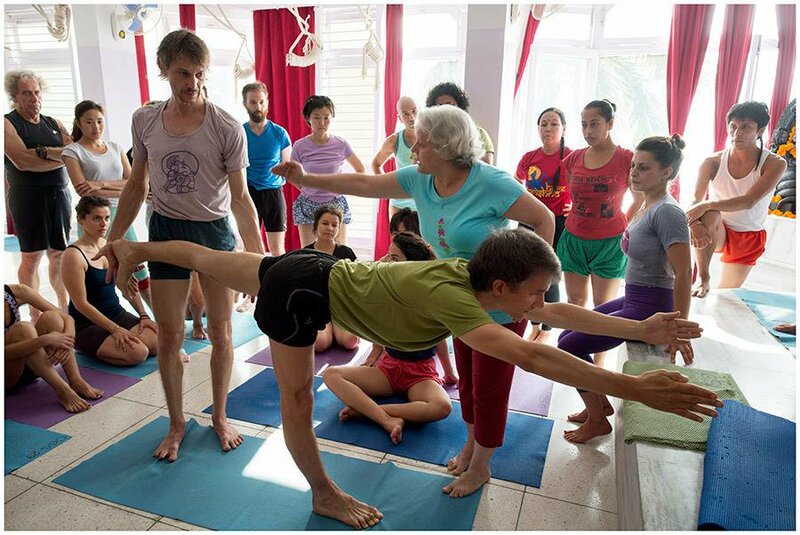 They help each student to execute the poses correctly and to understand the mechanics of the poses. Iyengar Yoga teaches strength and stamina, flexibility and balance, concentration and meditation. Iyengar Yoga begins with physical awareness, but goes beyond to embrace emotional and spiritual growth. As students learn to extend consciousness to each part of their bodies, they experience a concentrated focus on the moment. In time, this concentrated focus, Pratyahara, becomes an integral part not just of a yoga practice, but of daily life. 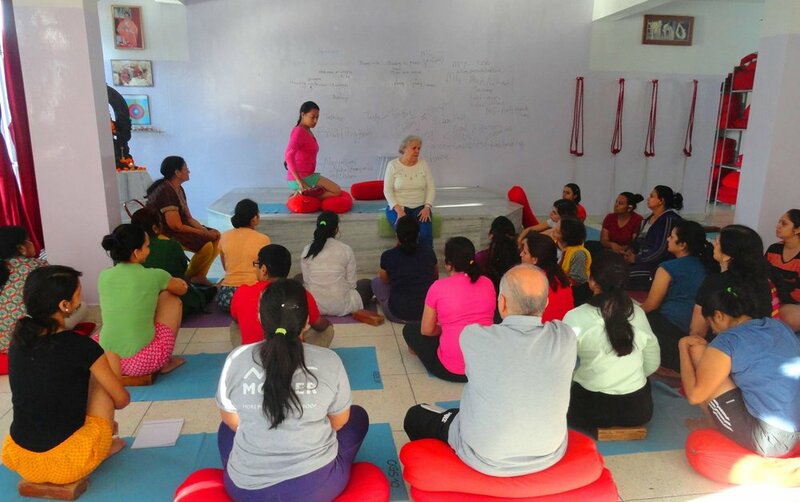 The Guest House Store offers a selection of books on yoga and philosophy, as well as selected gifts such as weavings, candles and soft toys, which are made by the inmates of Tihar Jail in Delhi, and other items of interest.